Another exciting product showcase...the accordion album. This is a fun brag book for your session. It's a black leather album with 6 black pages. 4x6 photos go on both sides of the pages (it's hard to see that in the image below). 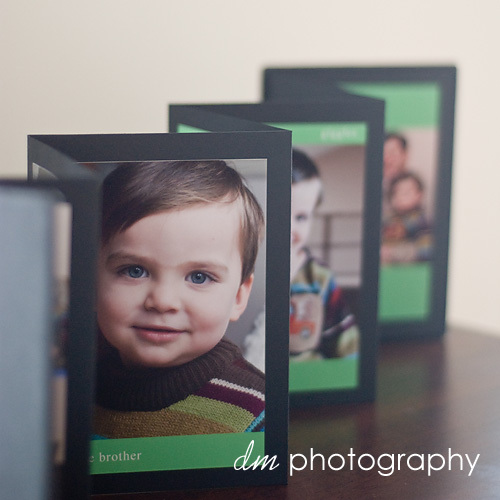 The photos can be either full 4x6 photos or with added blocks of color and text. It's the perfect size to keep it in your purse or bag. Or you can even display it on a shelf stretched out to show off your photos.